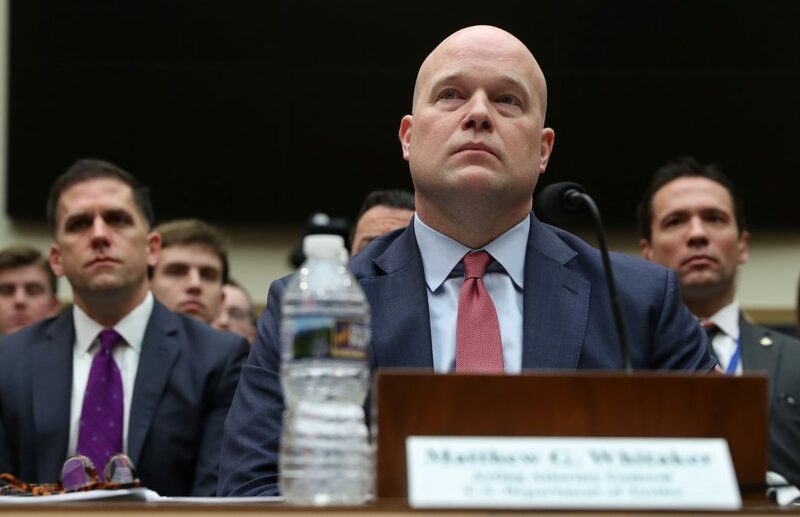 Acting Attorney General Matthew Whitaker insisted on Friday that he had “not interfered” in the special counsel’s Russia investigation as he faced a contentious and partisan congressional hearing in his waning days on the job. He also said he had never discussed with the White House special counsel Robert Mueller’s investigation into potential coordination between Russia and Donald Trump’s campaign. The hearing was the first, and likely only, chance for newly empowered Democrats in the majority to grill an attorney general they perceive as a Trump loyalist and whose appointment they suspect was aimed at suppressing investigations of the Republican president. Republicans made clear they viewed the hearing as pointless political grandstanding especially since Whitaker may have less than a week left as the country’s chief law enforcement officer. “I’m thinking maybe we just set up a popcorn machine in the back,” said Rep. Doug Collins, the committee’s top Republican. Collins, of Georgia, called it a “dog and pony” show and criticized Democrats for disclosing derogatory information about Whitaker’s business dealings hours before the hearing. Whitaker vented frustration early on as he repeatedly insisted that he would not discuss his conversations with Trump and tried to shift attention to the conventional work of the Justice Department. “Mr. Chairman, I see that your five minutes are up,” Whitaker said to the committee’s Democratic leader, Rep. Jerrold Nadler of New York. He told lawmakers that there has been no change since his arrival in the job in the “overall management” of Mueller’s investigation. He said that he has run the Justice Department to the best of his ability, with “fidelity to the law and to the Constitution” and had never given any promises. Democrats who perceive Whitaker as a Trump loyalist were expected to ask him whether he has made any commitments to the president about Mueller’s Russia investigation and whether he has shared with Trump any inside information. Also expected to come up was Whitaker’s comment last week that he believed the investigation into potential ties between Russia and the Trump campaign was nearly done.